* Boilers 304 chrome 18/10 stainless steel. 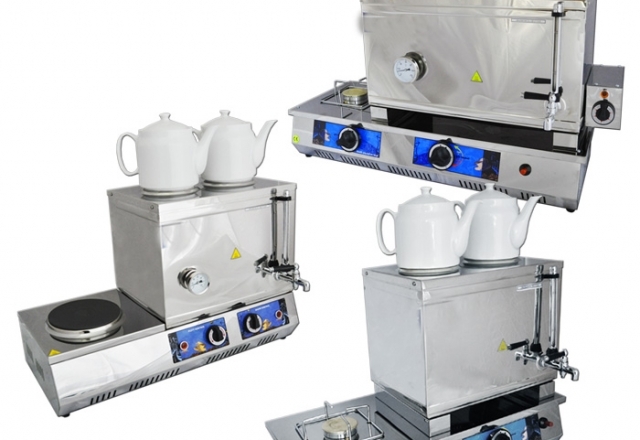 * 430 quality stainless steel cookers. * Provides for the appropriate use of mass consumption. * 5 size model responds to every request. 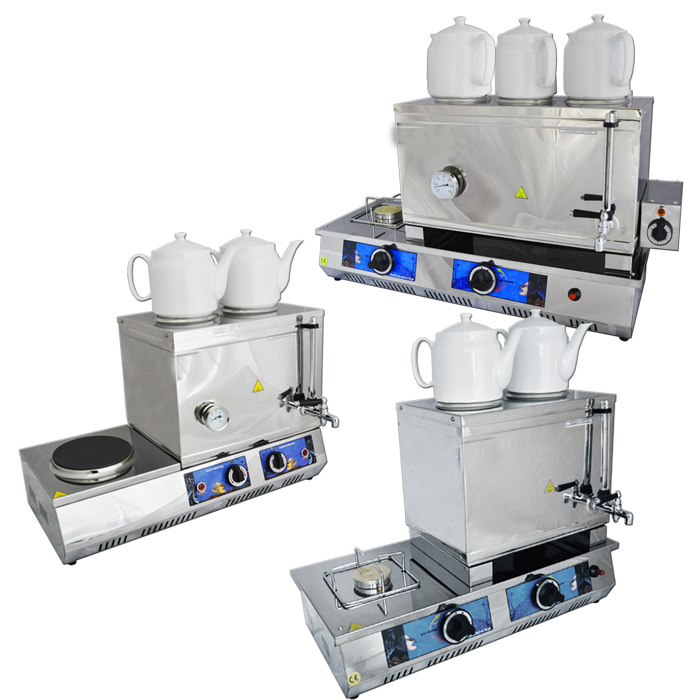 * The new model of burner system efficient. * Boiler burner system is equipped with a cigarette lighter. * Ergonomic design provides ease of use. * Water has a display. * Provide hot water throughout the day. * Model provides ergonomic use of private hydrants. * Security system provides security against gas leakage gas valves. * Certified according to European Union norms.